Wedding season is on and so the hunt for best suited jewelry. World of fashion is up with new age mantra of minimalist jewelry and makeup. If the dress makes a wedding then jewelry completes the dress. ‘Minimalism’ – this trend is loved by a large number of women all across the world. Adorning the minimalistic jewelry with your wedding dress is an art. Gone are the days when brides have to adorn that heavy temple look for their wedding, minimal platinum jewelry is rocking the fashion world these days. 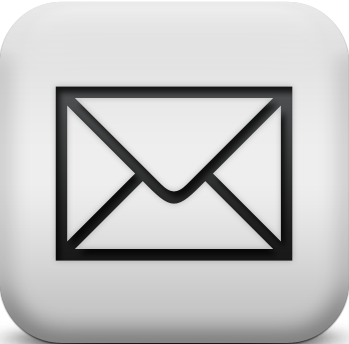 Platinum jewelry allows you to don lavishness and luxury in a very subtle manner. However, getting a perfect minimalistic look with Platinum Jewelry can be a challenge for a bride. While you would not want to overdo with the look, you would also not want to be overshadowed at your big day. With Platinum jewelry , our brides not only look ravishing and stunning , they rock their big day donning an elegant look. In order to ensure your minimalistic look, avoid grand jewelry pieces, especially for neck. Go for a thin, stacked ring for a very pretty statement for a trendy, modern bride. Available in a number of metallic finishes, they will flatter any skin tone. A personalized platinum bar bracelet engraved with the groom’s name or wedding date and can be a gift worth cherishing. Platinum wedding jewelry adds allure to your look without overpowering your attire. 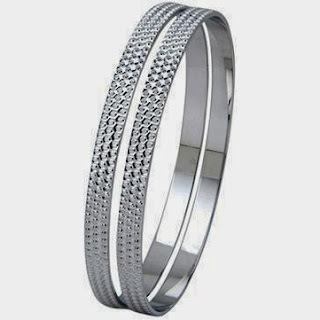 A single Platinum bangle or kada can give a pack of powerful punch to your look. If you are wearing a dress with a low back, accent the design with a necklace or chain that trails down your neck. Brides with warm undertones can go for rose gold or platinum as well. The long delicate necklace is a perfect choice to pair with a romantic lace apparel. 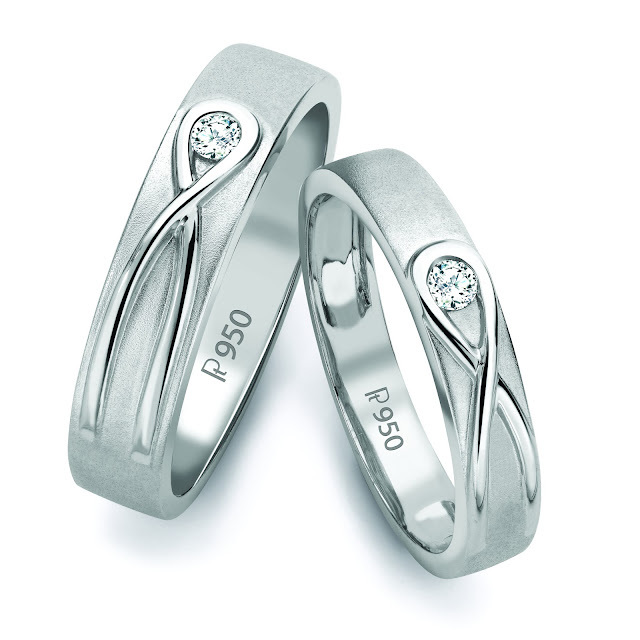 An elegant pair of platinum love bands for him or her with the infinity sign will be a perfect for wedding or valentine gifts. Platinum’s durability and naturally white sheen is highly loved by fashion world. 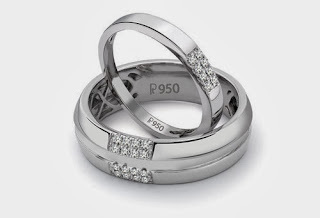 You can choose from plain, diamond and patterned platinum rings. 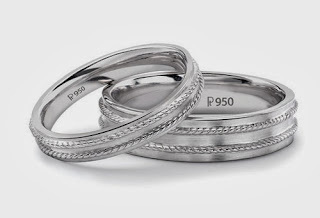 Platinum love bands are always a good choice to gift your loved ones. Minimalism is modern mantra to look simple, elegant, lavish and luxurious look. And to rock this mantra with Platinum jewelry is what I would like you to take a cue from. Platinum is latest love and donning it perfectly for weddings is an art that if donned good can make you Big day memorable.